Over 29 years of tradition! This romanitc restaurant is located near Interstate 80 in heart of a historical foothill town. 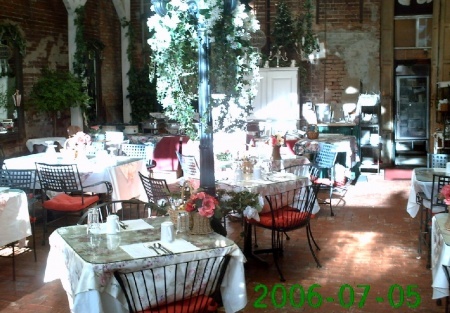 The main dining area is definately one of a kind, filled with flowers and trees, while the front of the restaurant has the look and feel of a traditional coffee shop.The restaurant seats over 85 people, and attracts visitors from miles around. The current owners have recently invested in new kitchen equipment as well as other improvements. The lease is only $1.00 a foot for a 2500 sq ft restaurant -5 year term with 5 year option. Owners own the building, so the lease terms are negotiable. Owners will match tenant improvements on building up to $10,0000. Take the next step and complete the online confidentiality agreement and you�ll be provided with the restaurant name and address. Also you will given priority notification to new listings in the future, prior to the general public, giving you the best chance to �scoop in� the best opportunities. There are also more photos available to our registered buyers.This is a Paramount Restaurant Brokers, Inc. listing. Remodeled dining room has "country elegance"